With a maximum of flexibility and customer orientation, we manufacture individual complete systems for our customers throughout Europe. Due to latest manufacturing technologies, we can guarantee our customers nothing but the best results. Our highly qualified and motivated employees meet even the highest quality requirements. Throughout the manufacturing process our customers can profit from our progressiveness as well as from our constant striving for improvement. We offer competent support for our customers, at all times. We meet our customers' individual requirements and wishes by using the latest technologies, by employing qualified staff, and by offering a wide range of products. The latest manufacturing technologies, our flexibility, and our high commitment make us your competent and reliable partner for components with a piece weight up to 80 tons. We produce on the basis of drawings, data sets, sketches, or models. In this field, too, it is particularly important to us to work with a maximum of flexibility and sustainability – try us. 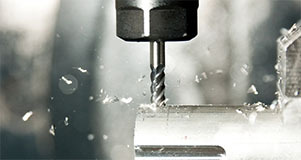 In machine tool engineering, innovation has no limits. Due to the constant expansion and further development of our GmbH & Co. KG, we are equipped with modern machinery. The quality which our customers demand on a daily basis is guaranteed by our use of the latest and mature technologies, but first and foremost, by the knowledge, experience, and personal commitment of our employees. 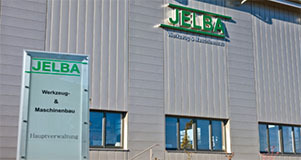 Ever since 1990, JELBA GmbH & Co. KG has been a competent partner in a variety of different industrial sectors. Being a service company, we perceive ourselves as flexible partners for you.